The company behind the PlayerUnknown's Battlegrounds franchise announced, via Twitter, that the PUBG Map Vikendi would make its way to the consoles on 22 January 2019. This announcement is in line with the developers' earlier promise of introducing the brand-new snow map to the consoles before the end of January 2019. The map is currently available on the Public Test Servers and would be migrated to the live servers on the launch date, making it available to all the PlayStation 4 and Xbox One players who own a retail copy of PlayerUnknown's Battlegrounds. 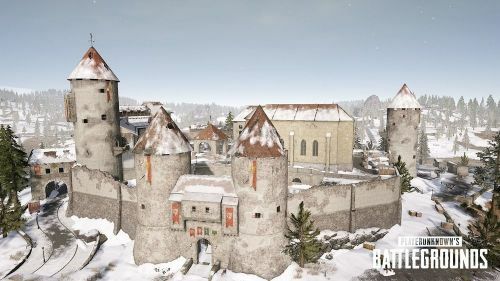 This release comes just over a month after the map was made available to the PC players on 19 December 2018. Moreover, PUBG Mobile also received the Vikendi snow map during December 2018. Regarding Vikendi, it is a 6 km X 6 km snow-covered map, making it larger than Sanhok but smaller than Erangel and Miramar, which promotes the idea of providing a balance between the fast-paced action of the smaller map and the tactical gameplay experience seen on 8 km X 8 km maps. For the latest PUBG Updates, stick to Sportskeeda. This map also introduces a slew of changes to the gameplay, most notably being the ability to track other players via footsteps and vehicle tracks, which forces the players to completely rethink their strategy on the snow-covered terrain. Also, vehicle dynamics are altered on the snow for a more realistic gaming experience. A new weapon and a new vehicle are added to the map, as well. Furthermore, PP-19 Bizon SMG and Snow Bike Snow Bike will also be made available on Vikendi in the not so distant future. Along with the consoles, PlayerUnknown's Battlegrounds is also available for PC while the mobile version of the game can be downloaded for the App Store and the Play Store. Get all the latest Video Game News on Sportskeeda. PUBG Snow Map: Things You Should know about PUBG New Map "Vikendi"